New York (CNN Business) The National Enquirer was one of Donald Trump’s biggest boosters, both before and after he was elected president. The weekly tabloid magazine made a sudden turn away from Trump-related covers over the summer. Sharp-eyed readers may have noticed the shift. 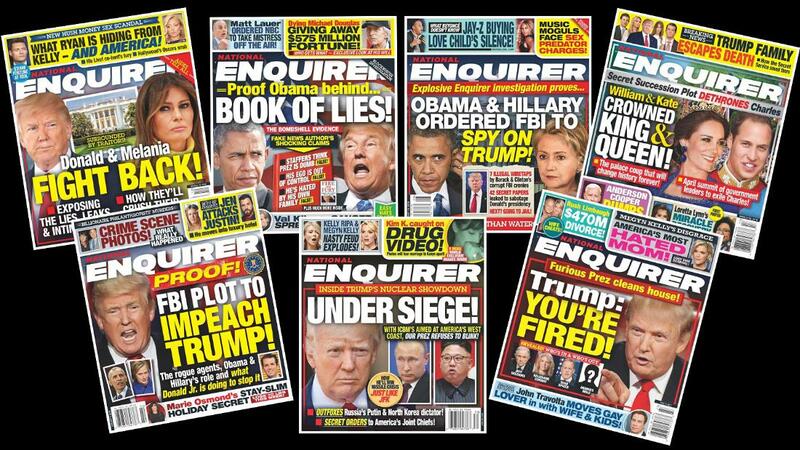 Instead of covers that celebrated Trump and attacked his enemies, the Enquirer has been sticking with tried-and-true stories about celebrity scandals. In other words, the Enquirer stopped being a part of Trump’s promotional media machine. 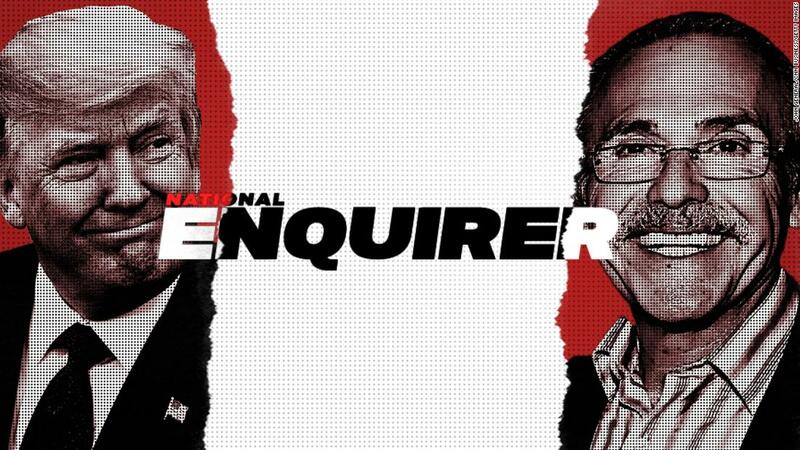 The Enquirer’s parent company, American Media Inc., is controlled by David Pecker — a longtime friend of Trump’s. American Media Inc. declined to comment on the cover choices on Wednesday. But the change came at the same time when prosecutors in the US Attorney’s Office in the Southern District of New York zeroed in on Michael Cohen’s financial dealings with Pecker and American Media. 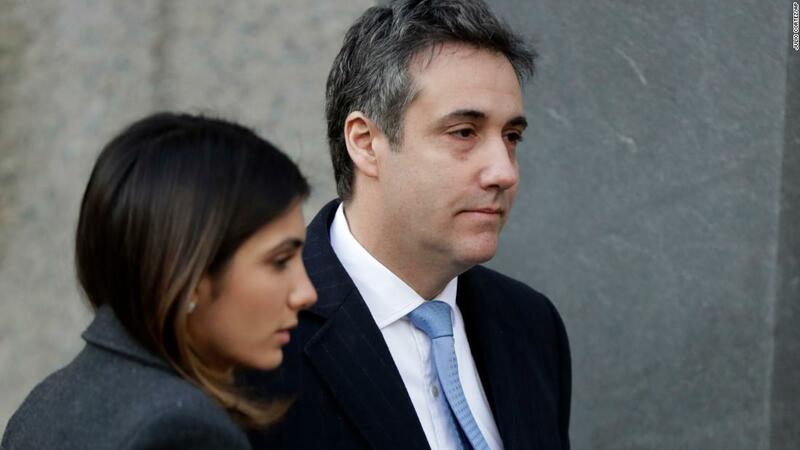 It has now been established that Cohen worked with Pecker to set up a $150,000 payment to Karen McDougal before the 2016 election. The payment effectively silenced her, ensuring that her claims of an affair with Trump would not be made public. On Wednesday, Cohen was sentenced to three years in prison for campaign-finance violations relating to McDougal and Stormy Daniels. But the revelations about the payments started to strain the Trump-Enquirer relationship many months ago. In June, the Wall Street Journal reported that the prosecutors had subpoenaed records from the National Enquirer as part of the Cohen probe. By then, the Trump-related covers had already stopped appearing. This was a big change for the Enquirer. In 2016, anti-Hillary Clinton covers were a steady part of the Enquirer’s campaign coverage. Distorted and exaggerated stories about Clinton controversies had the added effect of pumping up Trump’s candidacy. After all, The Enquirer has always had prime placement at supermarkets. The anti-Clinton covers continued into 2017, joined by headlines that portrayed Trump as a resolute hero standing up to Clinton, Barack Obama, the FBI and other so-called enemies. In April, the FBI raided Cohen’s office, seizing documents and email related to Daniels. That same month, AMI released McDougal from a contract that kept her from talking about her alleged affair with Trump. On May 7, 2018, the cover was devoted to tearing down Cohen, which is noteworthy in light of the later revelations about Cohen and Pecker’s collaboration. And that was it. The cover headlines about Trump suddenly stopped. It is possible that the Trump-promoting covers simply stopped being a reader draw. The Enquirer is famously reactive to circulation trends, with editors who pay very close attention to which cover subjects sell more copies than others. But the timeline matches up exactly to the federal investigation. Since May, only one story on the Enquirer’s web site has been tagged with Trump’s name, and it was about a past contestant on the “Celebrity Apprentice”television show. So the president has lost one of his friendliest news sources — a magazine that previously propped him up and promoted his candidacy and presidency. He appears to have lost a friend, as well. Pecker has declined to comment on Trump, but prosecutors said on Wednesday that American Media Inc. has helped with the investigation into Cohen. This confirmed reports dating back to August that Pecker had been granted immunity. Numerous headlines have portrayed Pecker and the Enquirer as “flipping” on Trump. The Southern District of New York said in a statement on Wednesday that its office “has agreed not to prosecute AMI for its role” in the $150,000 payment, as long as the company continues to cooperate. A spokesman for the tabloid declined to comment.